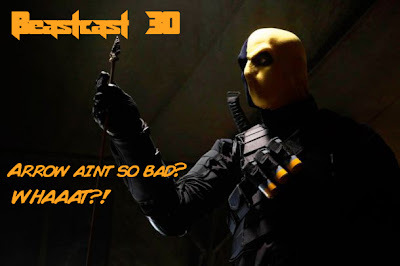 Beastcast 30 - Arrow aint that Bad?! WHAAT?! Talking about the "Arrow" TV series. Its actually quite watchable, but I got still some issues with it. Download and links after the bump. I don't see why they can't just meet half way with the "comic booky stuff" and the "real world stuff". Ah well, at least we got the animated stuff. Halfway would be awesome. Who knows? Maybe the future will be different. And the animeted stuff from DC is awesome. Well have to wait and see. EVANGELION EXHIBITION TO TOUR AUSTRALIA IN 2013.